Since I taking a group of my students from the Staff College to Gettysburg this weekend another excerpt from a chapter of my Gettysburg text. This deals with the badly bungled Confederate attack on Oak Ridge on the afternoon of July 1st 1863. I hope that you enjoy. 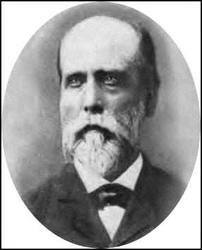 The Union First Corps and Buford’s cavalry division had fought Heth’s poorly coordinated and led attacks to a standstill, but when Rodes arrived he found “a golden opportunity spread before him.”  From his position at Oak Ridge he saw the opportunity to take the Federal troops opposing Hill in the flank though his position did not “provide him as comprehensive view as he thought.”  His desire was to advance south along Oak Ridge using it to screen his movements in order to execute an attack on the Federal right flank. But before he could do this “the First Corps Generals had made preparations to oppose him.”  Robinson’s two brigades under Baxter and Paul deployed and “hurried in line stone and wood fences approximately at right angles to Rodes proper line of advance.”  Rodes could see the deployment but the fences obscured the exact positions of Robinson’s troops from him. Seeing the advance of the First Corps units as well as the emergence of Schurz’s troops from Eleventh Corps advancing out of the town the aggressive Confederate commander decided to launch an immediate attack. Upon its arrival Dilger’s battery opened “a storm of counter-battery fire”  on Carter’s battalion as well as the infantry brigade of O’Neal which was near it. The effect of Dilger’s fire on Carter’s artillery disrupted its operation and was successful in blowing up several caissons and guns causing significant numbers of casualties among the men. Seeing the carnage to one battery that he had not placed, Carter “accosted Rodes and asked, “General, what fool put that battery up yonder?” Only to realize after an “awkward pause and a queer expression on the face of all Rodes’ staffers that Rodes himself had placed it there.”  In response, the chastised division commander replied “You had better take it away, Carter.”  Throughout the rest of the engagement Dilger’s battery would make itself known, shattering Confederate infantry assaults and damaging Southern artillery batteries. To make his main attack Rodes initially deployed his division on a one brigade front as they arrived on the battlefield in line-of-march. As the leading elements of the division neared the Federal positions Rodes, made what appeared to be a simple change of plan to “attack on a two brigade front, sending in O’Neal’s and Iverson’s men simultaneously, then following up with Daniel’s brigade in echelon on the right.”  Ramseur’s brigade was held in close reserve. In theory it was a sound plan, but everything is more complicated when bullets start flying. 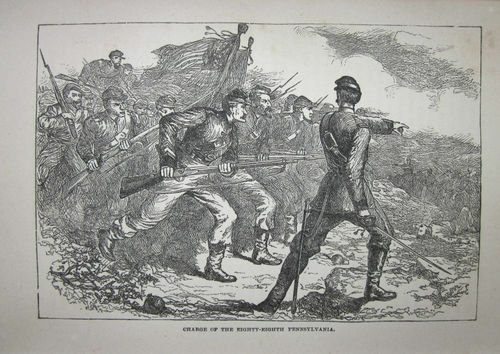 The execution of this change in plan was “bungled right at the start.”  None of “the three brigade commanders was sure what the signal for the advance would be”  and since Rodes had made no reconnaissance, and none of the brigades put out skirmishers the direction of the attack was faulty, units were mingled and a gap developed between O’Neal and Iverson. 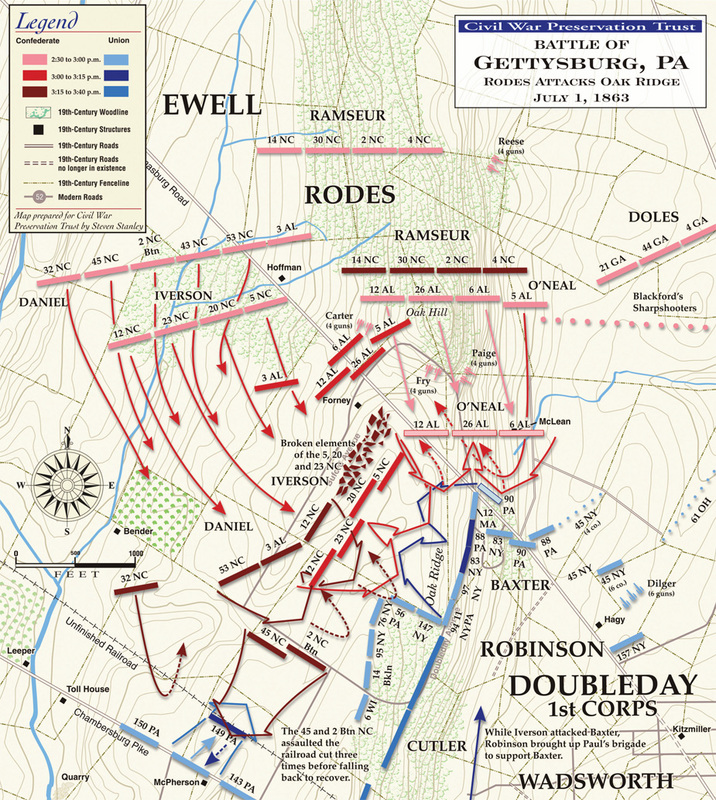 The attack “though vigorous, was a disaster”  and the plan floundered due to the stout resistance of Robinson’s troops and the “nicely matched incompetence of O’Neal and Iverson”  neither of who advanced with their assaulting troops. Striking O’Neal’s advancing troops at the oblique, Robinson’s battle hardened Union troops slaughtered the unsuspecting Confederates. Though they were outnumbered the Union men were solid veterans from Henry Baxter’s brigade who were aided by Dilger’s artillery which delivered “effective canister fire at O’Neal’s brigade.”  The combined fire of Baxter’s troops as well as Dilger’s artillery “killed or wounded about half of the advancing men with a series of point blank volleys pumped directly into their flank.”  O’Neal’s decision to remain back with his reserve regiment rather than “going forward to direct the advancing regiments”  caused further problems because there was no officer on the spot to direct the action of the three regiments. As Rodes’s continued bad luck would have it, Iverson, like O’Neal on his right did not advance simultaneously with O’Neal or on the same axis, but instead waited to see O’Neal’s advance. When it advanced, the brigade “about 1,450 strong, kept on under artillery fire through the open field “as evenly as if on parade.” Then its alignment became faulty, and without Iverson on hand to correct it, the brigade with strange fatality began to bear left toward the stone wall…”  As a result the brigade drifted right it’s exposed left was subject to attack from Baxter’s and Gabriel Paul’s brigades of Robinson’s division still hidden behind the stone wall. 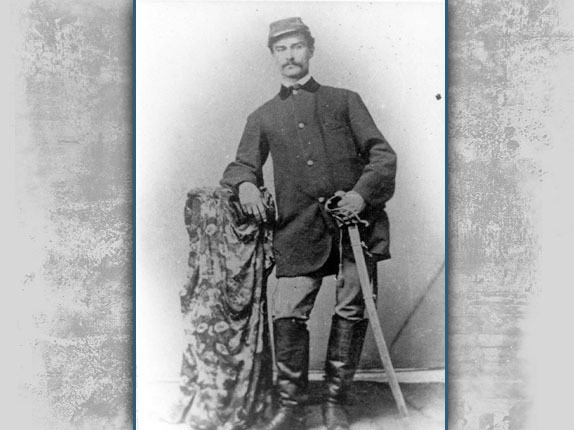 When the Confederates got to about fifty yards of Baxter’s troops the commander of the 83rd New York, the Swiss born lieutenant Colonel Joseph A. Moesch shouted: “Up men, and fire.” Moesch rode behind his line cheering his men on, but they needed no urging. In the words of one of one, “The men are no longer human, they are demons; a curse from the living here, a moan from the dying there. ‘Give them —- shouts one.’ See them run’ roars another.”  The well concealed veterans of Baxter regiments slaughtered them as they had O’Neal’s men just minutes before. “One regiment went down in such a neat row that when its survivors waves shirt tails, or any piece of cloth remotely white, Iverson thought that the whole regiment of live men were surrendering.”  As the Confederate attack collapsed some “of the regiments in Robinson’s division changed front again, charged, and captured nearly all the men who were left unhurt in three of Iverson’s regiments.”  Official Confederate reports list only 308 missing but that number differs from the Union reports, Robinson reporting 1000 prisoners and three flags and Baxter’s brigade nearly 400. As Robinson’s troops smashed the brigades of O’Neal and Iverson, they were joined by the remnants of Cutler’s brigade which changed its face from west to north to deliver more devastating fire into the Confederates.